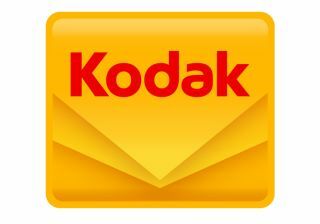 CES 2015: Kodak to launch new range of Android mobile devices | What Hi-Fi? Kodak is a name that has long been renowned in photographic circles, but now the camera brand is moving into a new sector with the launch of its own Android-powered smartphones and tablets. The company's new mobile devices are being given their debut at CES 2015 in Las Vegas, and are aimed at consumers who are searching for a simple, yet high-end experience from their mobile device. Bullitt Group is working in partnership with Kodak on the creation of the smartphones and tablets – all of which will be pre-loaded with bespoke image capture, management and sharing features. In addition, pre-installed remote management software will be provided and will allow members of your family and friends to offer help and support in using the devices – if needed, of course. The first handset will be launched at the Kodak stand at CES 2015, with further products – such as a 4G-ready smartphone, a tablet and a connected camera – due to follow in the months ahead. Oliver Schulte, Bullitt Mobile CEO, said: "Delivering simplicity without compromise, these devices will address a segment of the mobile device market that has been poorly served to date. "We will appeal to a large audience of users who value ease of use and stylish design as highly as they value functionality."